Many investors have long recognized the benefits of adding small-cap stocks to diversified portfolios. An allocation to small-cap stocks can increase return potential, add to diversification and provide exposure to a relatively inefficient market. Yet many have not yet recognized the potential additional upside that comes from adding micro-cap stocks to their traditional asset allocations. 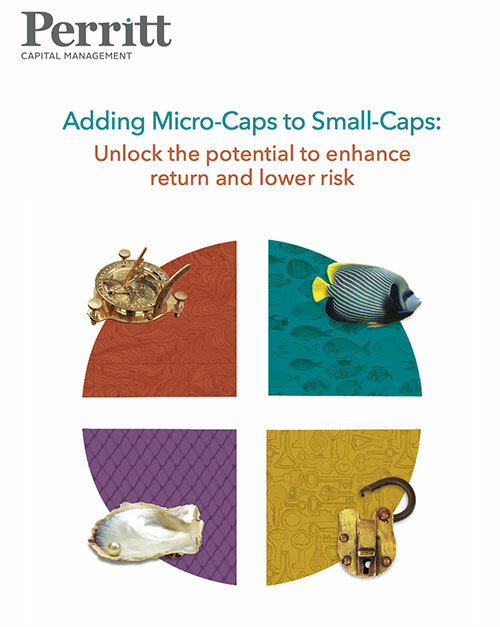 Exposure to micro-caps can further boost potential returns, augment diversification through non-correlated performance and deliver many of the benefits of private equity and venture capital within a liquid vehicle. The strong benefits of micro-caps, combined with investors’ relative lack of attention to this dynamic asset class creates an opportunity. We believe exposure to micro-caps can further boost potential returns to your small-cap allocations: you can enhance returns while modestly reducing volatility and, in doing so, participate in the corporations of tomorrow by investing in the entrepreneurs of today.